Beca is committed to a partnership with the UC Quake Centre to help improve community resilience in Christchurch, and throughout New Zealand, following the devastation of the Canterbury Earthquakes. Global engineering consultancy Beca operates from three main ‘hubs’ in Australia, New Zealand and Asia. They provide a variety of business solutions from engineering, architecture and planning, to project and cost management, as well as software technology and valuation - all with a focus on environmentally sustainable design. Established at the end of World War One, by engineer Arthur Gray, it was the vision of George Beca and Sir Ron Carter and their pioneering, innovative design solutions of the 1950’s to the 1970’s that sealed the success of the Beca trademark. 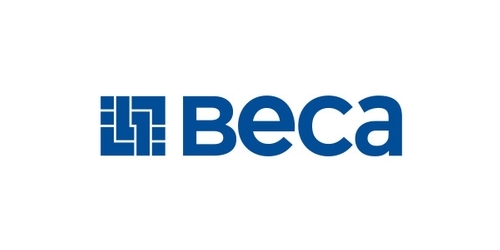 Since involved in many award-winning and innovative engineering projects, Beca’s diverse capabilities have earned commissions in a number of fields including transportation, ports, defence and water. They also have an established track record in education, hospitals and correction facilities. Keith Paterson recently attended a June 2015 Christchurch event hosted by WorkSafe New Zealand, to sign the ‘Canterbury Rebuild Safety Charter.’ Beca has joined over 200 organisations in this health and safety initiative to actively demonstrate a commitment to rebuilding Canterbury safely. Beca are proud to be involved in the repair and recovery of Canterbury following the earthquakes. Not only as engineers but also on a more personal level - as sponsors of Christchurch’s Heritage Week, and with 170 colleagues and many clients based in Canterbury. Beca is seeking to provide maximum support to help shape the Canterbury rebuild and are delighted to partner with UC Quake Centre.